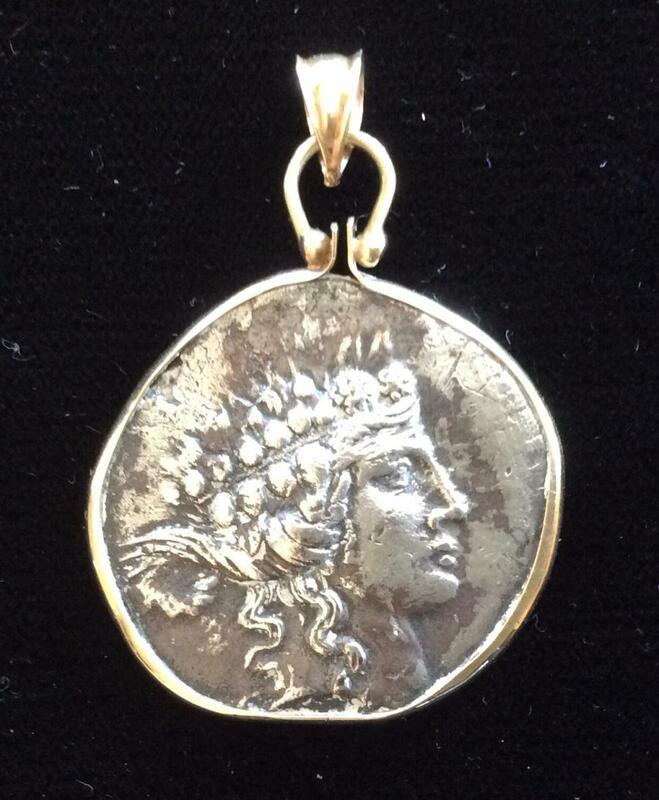 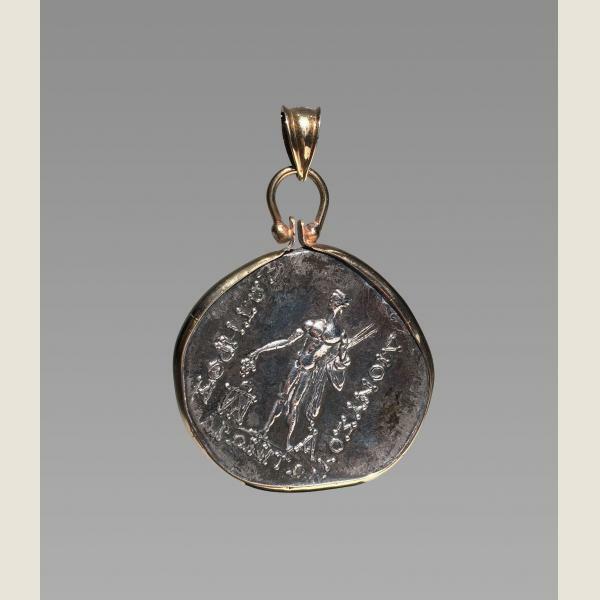 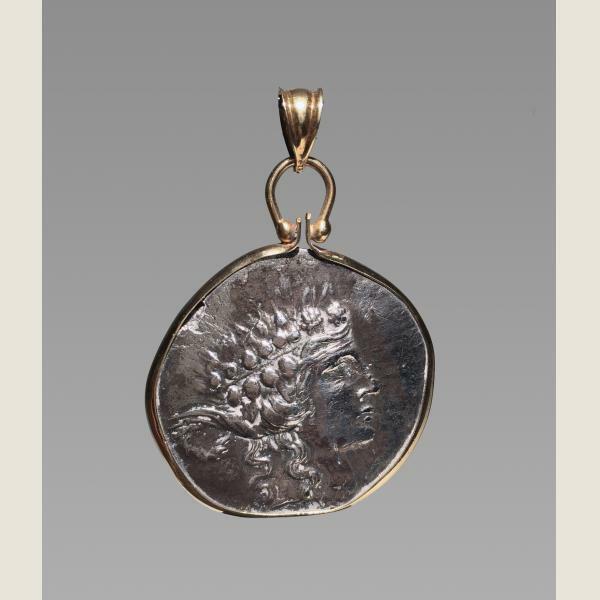 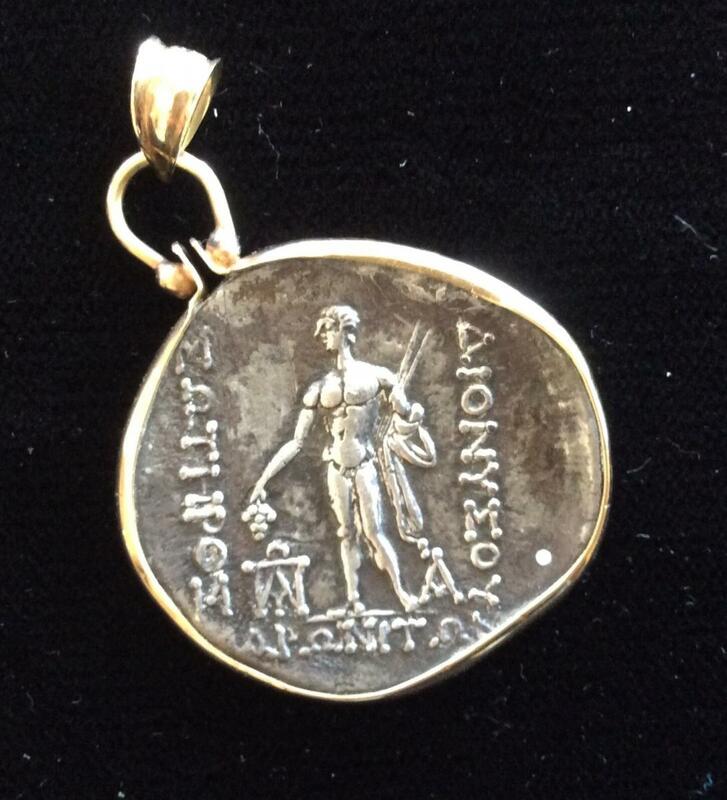 A beautiful Ancient Greek silver tetradrachma mounted in modern 18 Kt. 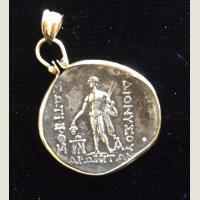 gold so as to make a wonderful wearable pendant. 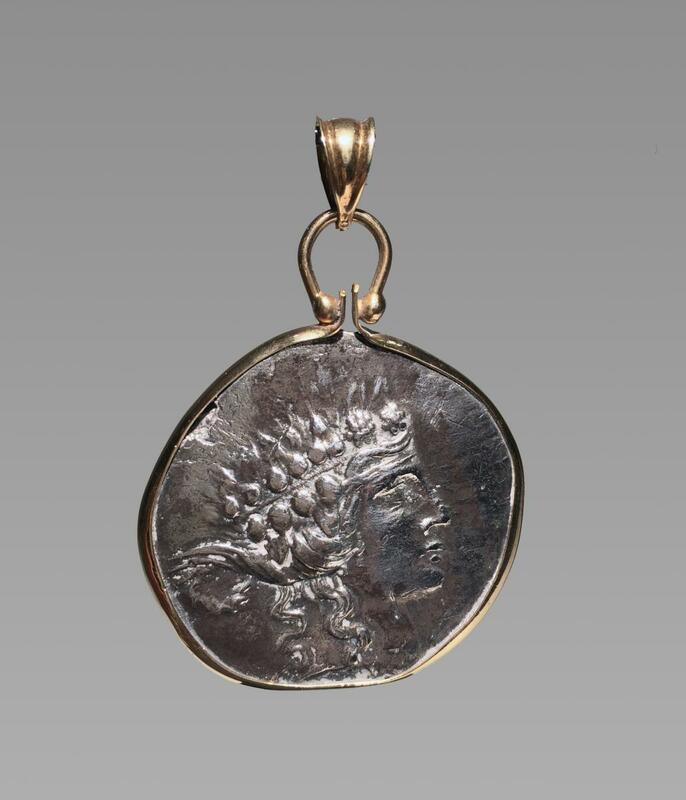 Obv: Young head of Dionysos, wearing ivy wreath. 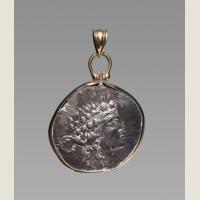 Rev: Dionysos standing facing left, holding bunch of grapes and two stalks of nartex. In field, two monograms - Dionysos from town of Maroneia. 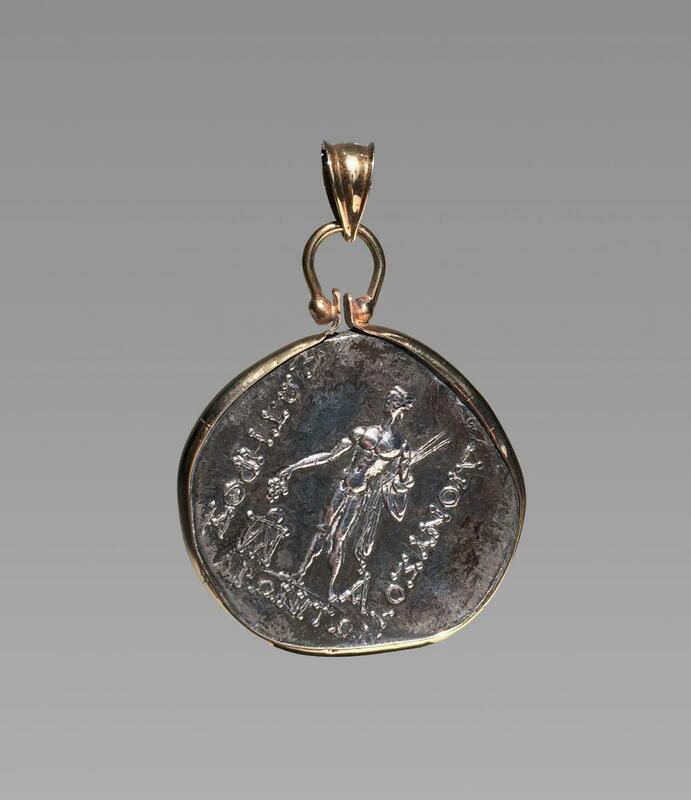 Set in a removable modern mount with the numismatic value unimpaired as the bezel follows the perimeter of the coin. 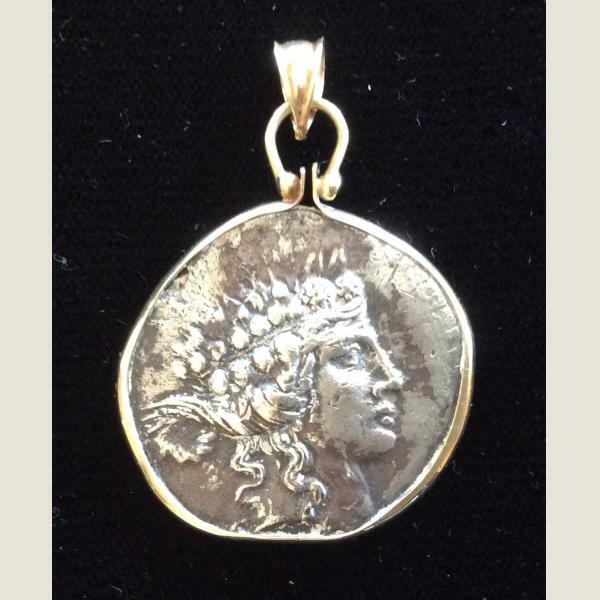 We offer gold necklaces which will allow this pendant to be immediately wearable.